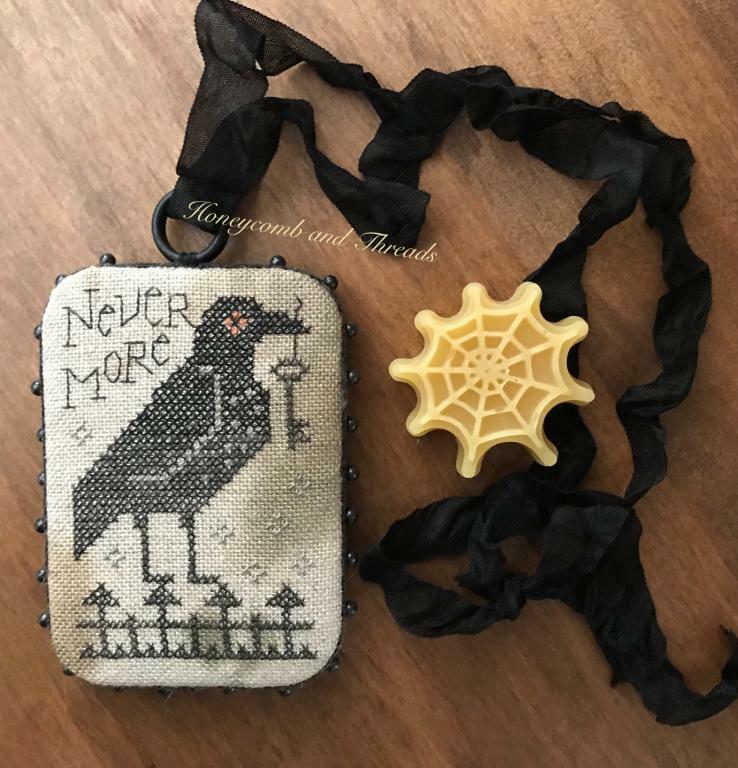 Here’s my final Halloween stitch for this year...”Nevermore” by Prairie Schooler, stitched with overdyed threads on Dames of The Needle linen “Witches Brew”. 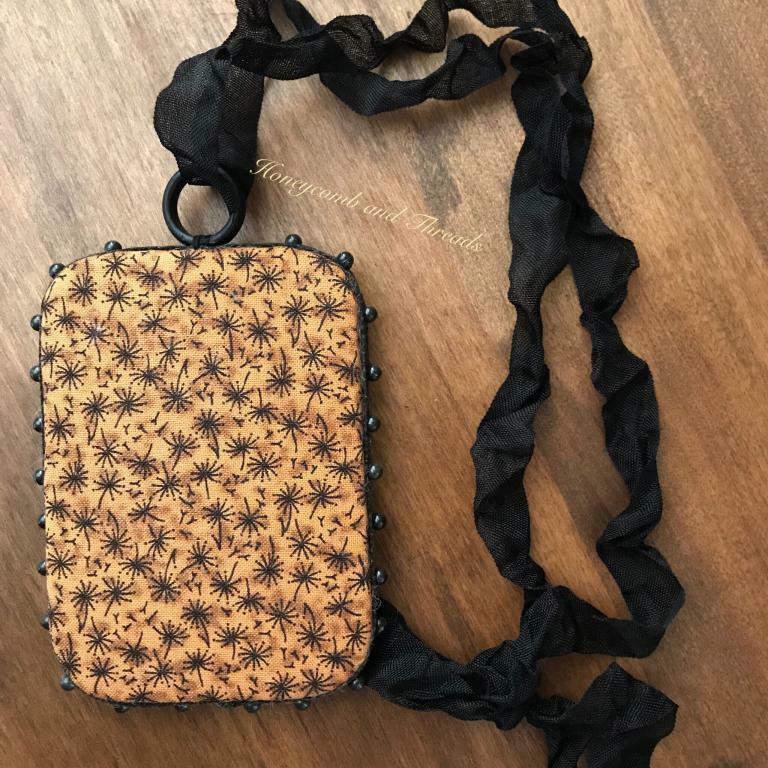 The front and back of this rectangular pinwheel are laced over padded chipboard, with a thick layer of wool felt and dyed black twill tape between to hold your pins. I’ve added 24 black head pins, and a black bone ring with vintage rayon ribbon. Also included is the pure beeswax thread waxer. It measures 3 3/4” by 2 3/4” and travel fare is $7.00. Please click on the photo to see additional picture.